Not gonna lie this movie’s trailer was mega-underwhelming. It didn’t represent the movie well at all. It showed some of the film’s most trite and uninspired portions and jokes. So, as I went into the theater to experience this film my expectations were very,very, very low (I expected very “little” of this movie. So, Regina Hall is best remembered by me as her character in the first( and only funny ones) two Scary Movie entries in the franchise. Issa Rae is known for being a great writer and actress in her series, Insecure. 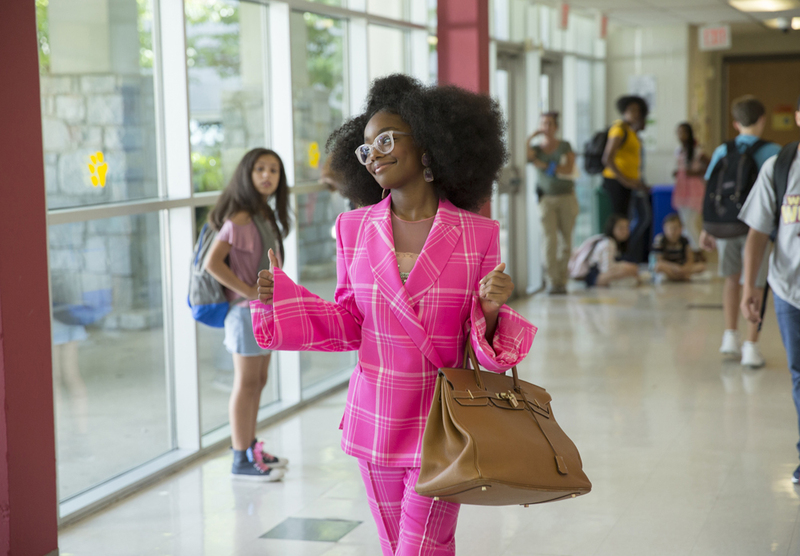 I don’t know much about Marsai Martin but, she plays the younger version of Regina Hall’s Jordan Sanders in the film. I was actually surprised at how much I enjoyed this film. It had a decent script, and pacing. The acting was good with Marsai as a massive standout. Child actors usually are a huge letdown but, she was impressive in all aspects. Regina Hall was passable in her role as the Scrooge like Tech mogul Jordan Sanders. Bullying her way through the 1st section of the movie. Her and Issa Rae (as her underappreciated assistant) had some fun interactions but, the film really took off when Marsai took over as the lead Jordan. Her transitioning of the mean grown up to small child with her fears of adolescence coming backup was great and showed her range. All in all, Little was a movie that will ultimately be nigh remembered but, by the few. The overdone cliches were done better elsewhere. In spite of that fact though, there was a fun once over film that is worth giving up a few minutes of your life to have a few chuckles. I give it 2.5 out of 5.